Berrima Diesel Service is a family owned and operated business situated approximately 100km South of Sydney and 1km South of the Southern Highlands historic township of Berrima. Reinhard and Andrew are the Original 'Diesel Gurus' specialising in the 'Black Art' of diesel fuel injection and are recognised world wide amongst the 4WD community for their unique skills. 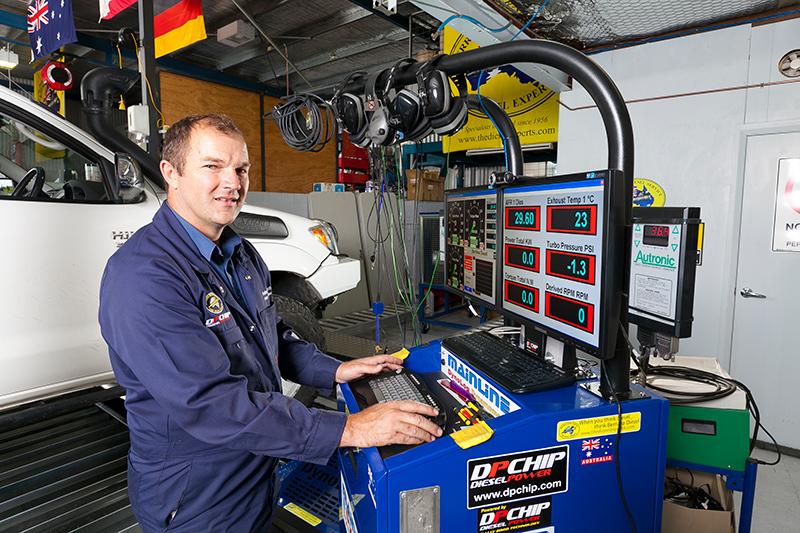 They specialise in all aspects of 4WD diesel fuel injection including injector servicing, fuel pumps, turbo charging, DPCHIP and exhaust packages, dyno tuning, diagnostic testing and troubleshooting. Regarded as Australia's Premier 4WD Diesel Turbo Centre, we have a range of 'Power up' options available for all factory turbo diesels 4WD's. We also have an industry-wide reputation for remedial work with problem diesel vehicles, such as those that smoke or lack power, and numerous articles discussing their ability to rectify such problems have appeared in the major 4WD magazines such as Overlander, 4X4 Australia, Caravan World, Truck, Wanderer, and 4WD Monthly. We have problem diesel vehicles brought to us from 4WD manufacturers such as Toyota, Nissan Mitsubishi, Ford, Mazda and Rover. With over 65 years combined experience, our satisfied customers come from all corners of Australia as well as Internationally. Once you have experienced the Berrima Diesel Service, you will find that owning and driving a diesel vehicle is no longer a chore but is, in fact, a pleasure. Family owned and operated business with the German philosophy of perfection. WHO is working on YOUR 4WD? Would you risk your expensive vehicle by letting an apprentice work on it? No neither would we. We pride ourselves in the quality of our work. 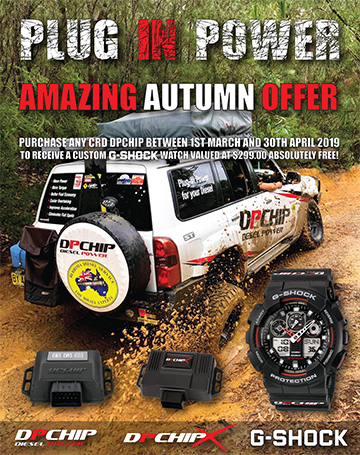 4WD Diesel Tuning, Performance Tuning, DPCHIP tuning computers. Trouble Shooting and Turbo Charging. Reinhard and Andrew specialise in these. Not accessory fitters, just Diesel Specialists! Specialists in their field. Working solely on DIESEL 4WD VEHICLES daily. We still remember and utilise the ‘Old School’ philosophy of setting everything up by hand. NOT throw out, blindly put in new and hope for the best!! Setting up injectors to atomise and burn Australia’s poor diesel fuel. Not like the poor original injector spray pattern! ‘Power Tuning’ ALL Factory turbo Diesels. NO EXPENSIVE/UNNECESSARY TURBO UPGRADES required for our Factory Turbo Power-ups! OUR Turbo Systems- are manufactured specifically for BERRIMA DIESEL! New manifolds! We do not use adapters to fit old original manifolds that are NOT designed for turbo mounting or temperatures like some!! Water cooled! Not old-fashioned non-water cooled units or water cooled units with the water cooling blocked off!! Our Turbo System is the ONLY ONE that has Warranty backed up Australia Wide by DTS Turbo Systems who have Factory Shops in EVERY State. It is the ONLY WARRANTY that covers the ENGINE and DRIVELINE of New Vehicles for the COMPLETE New or Extended Warranty Period. Below is a list of the general and specialised motor vehicle services available at Berrima Diesel Service. Unique Diesel Injector Servicing - Injectors can be sent to us, serviced and returned by parcel post. Turbocharger System, Sales and Advice. We can arrange for shipment of our turbo systems to be delivered and supplied anywhere in the world. DPChip 'Plug 'n Play' Diesel Tuning modules. Berrima Diesel's LucasCAV fuel filter adaptor kit. Our range of "Cutting Edge" products from AWD Technologies. Berrima is only one hour's drive from Sydney and the South Coast, and under two hour's drive from Canberra. Many customers travel down for the day, leave their vehicle to be serviced in the morning and spend the day enjoying the many tourist attractions and facilities in the area before picking up their freshly serviced vehicle to return home in the afternoon.